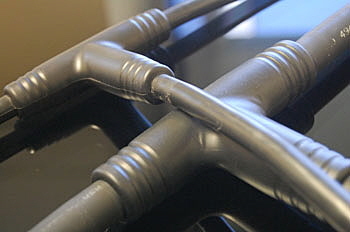 We offer standard and custom strain relief fittings, cable fittings & cable glands for various types of cables. We are a One Stop Shop for strain relief/ cable fitting/ cable gland design, engineering, injection molding and tooling. With a quick turn around, high quality, competitive prices, and production runs ranging from small to high volume, we can be your supplier of plastic cable fittings and cable glands. Snap In Protection Grommets, to Seal cable and conduit in unthreaded holes, Protects against ingress of dust and water etc. E-mail or Call us Today for Strain Relief Fittings and Cable Gland Solutions!